When I think about Halloween, I can’t help but think of all the happy haunts in the theme parks of Orlando. The best part? There’s something for all ages, from silly trick-or-treat activities for younger kids to events that will spook even the bravest, least skittish among us. Another reason to love Orlando during the Halloween season is the temperate climate. There’s generally no need for heavy jackets and most tourists can get away with much lighter costumes than at home. From Halloween parties that cater to younger kids to those that will scare the pants off you, Orlando’s got Halloween in the (candy) bag. 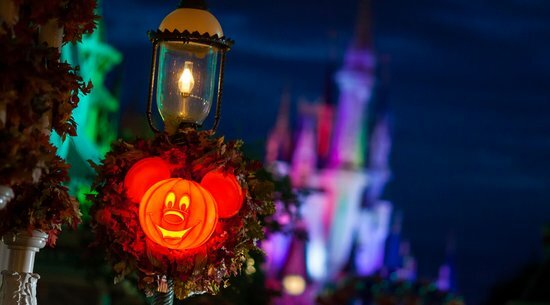 Walt Disney World always does holidays right, and Halloween is no exception. They brings out their biggest and best villains for Mickey’s Not-So-Scary Halloween Party. On select nights in September, October, and November, Magic Kingdom closes early to allow for the Grim Grinning Ghosts and their pals to show off their best side. Boo to You! Halloween Parade is easily one of the best parades that Disney World offers and this year the Sanderson Sisters from Hocus Pocus make their debut in the park with Hocus Pocus Villain Spelltacular. Each party is a hard ticket event and cost is in addition to regular park admission. 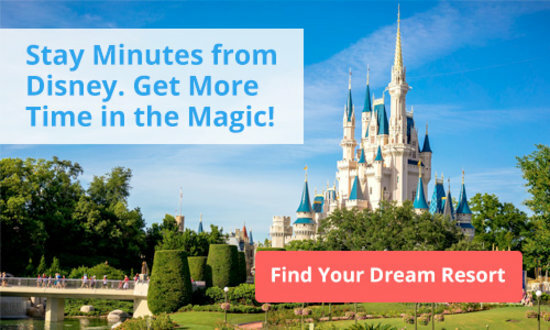 Tips: Popular nights (like Halloween and weekends) sell out very quickly so score your tickets via the Disney website as soon as they go on sale. The party technically begins at 7pm but cast members begin allowing party goers in beginning at 4pm. 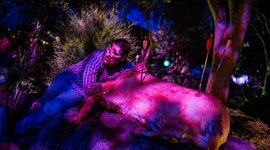 Older teens and adults who like a little terror will love Halloween Horror Nights at Universal Orlando Resort. Definitely not an event for younger kids, HHN offers park guests nine haunted houses, two creepy cool shows, and five separately-themed scare zones throughout Universal Studios Florida. This year marks the 25th anniversary of the horrific event and tickets are available to fearless folks beginning in September each year. Jack the Clown is this year’s host and he’s back bigger, badder, and scarier than ever. Tip: Tickets are VERY popular and are a separate park admission. The event is not recommended for children under the age of 13 due to the intensity and mature language. No costumes or masks are permitted during the event. This SeaWorld party is for younger kids. It’s a Halloween “fantasea” filled with trick or treating, a dance and play party with spooky stories, kid-themed Halloween activities, and a Pets Ahoy Show filled with dogs, cats, and birds (along with other trained animals). Tips: Want an extra special Halloween visit? Families can dine with Shamu at a poolside table with a Spooktacular Brunch for an additional fee. 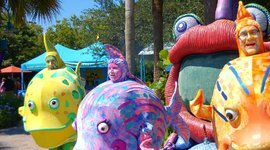 SeaWorld Halloween Spooktacular is included with park admission and costumes are definitely encouraged but not required. Geared for teens and adults, it's not for the faint of heart. Haunted houses and Scare Zones will scare the living bejeezus out of you. Perfect for kids 12 and under, the park is filled with face painting, trick or treating, and other fun games and activities.